If you’re reading this magazine, we suspect you’re rather fond of libraries. (Correct us if we’re being presumptuous, but you have that look about you.) Whether you’re a bibliognost (someone with encyclopedic knowledge of books and bibliography) or simply like wandering around your favorite phrontistery (place for thinking or study), here are ten unusual bits of library lingo that are definitely worth knowing. 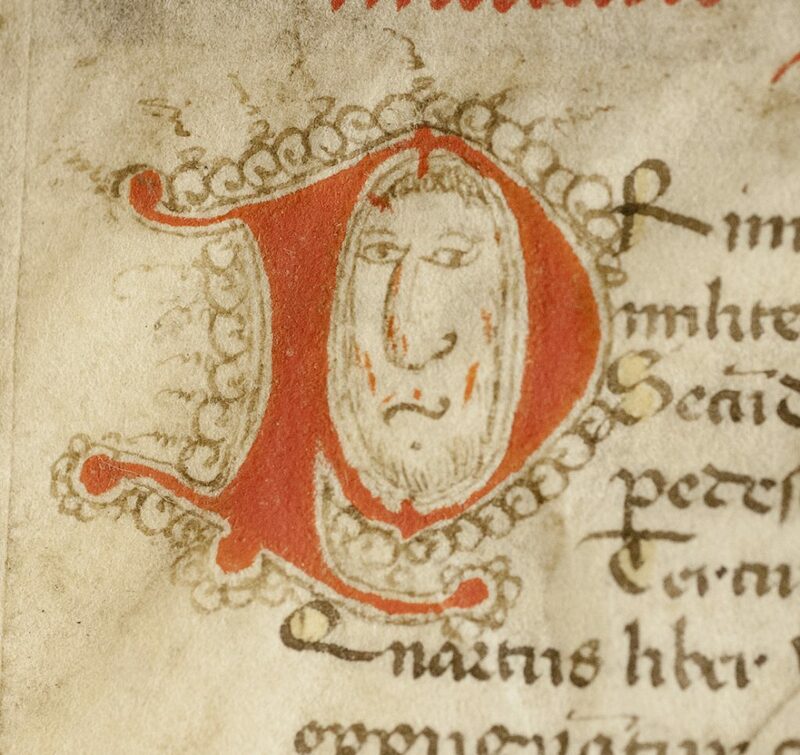 Example of an inhabited initial in Vegetius’s “Epitoma Rei Militaris” (c. 1400) from the Rubenstein Library. An initial letter in an illuminated manuscript or early printed book containing decorative animal, human, or imaginary figures, often depicted fancifully. Thin adhesive strip of magnetized metal concealed within a library book, which triggers a security alarm if you try to remove the book from the premises without checking it out. 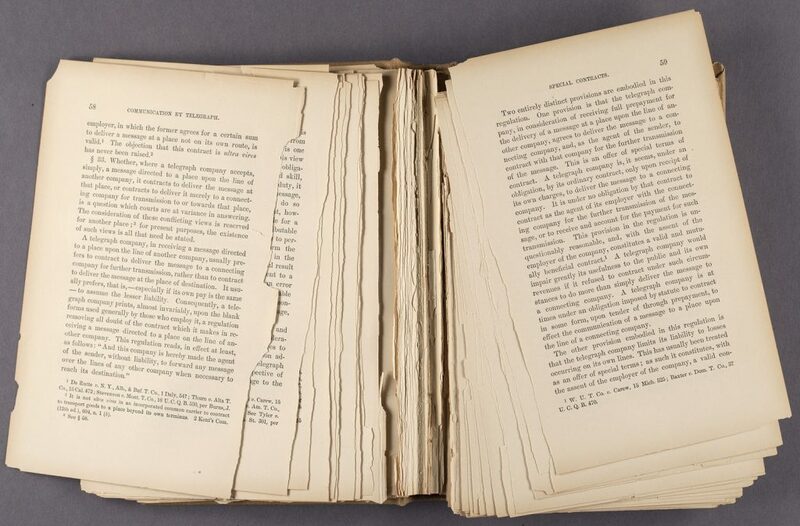 Many books printed in the nineteenth century are now brittle and falling apart because they were made with acidic paper made from untreated wood pulp, an inherent vice. A weakness in the chemical or physical composition of a book or document that causes it to deteriorate over time. An out-of-print work protected by copyright for which the copyright holder is unknown. The question of who owns the rights to orphan works has been a major bone of contention in mass-digitization projects like Google Books. 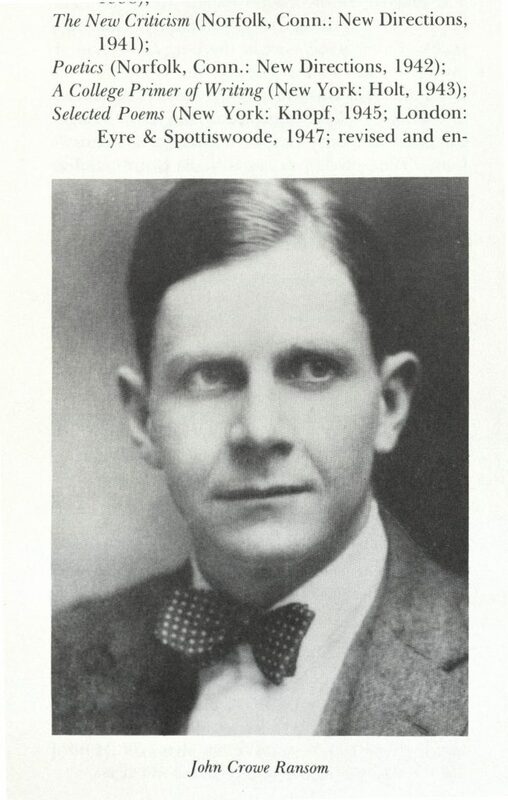 The 1986 Dictionary of Literary Biography includes a reference to John Crowe Ransom’s Poetics, which was announced in 1942 by the publisher New Directions but never actually published. Its ghost lives on. A work announced or cited as published in bibliographies, catalogs, or other sources, of whose actual existence there is no conclusive evidence. Pieces of waste papyrus glued and tightly pressed together to form rigid sheets, used in ancient Egypt for making mummy cases. Many examples of ancient writing in Duke’s papyrus archive were recovered from mummy cartonnage. The stiff poly-cotton cloth used to cover and protect library books. It is designed to withstand heavy use and resist moisture and mildew. From the Latin word cunae, meaning “cradle.” Books, pamphlets and other materials printed from movable type in Europe prior to 1501, during the infancy of printing. 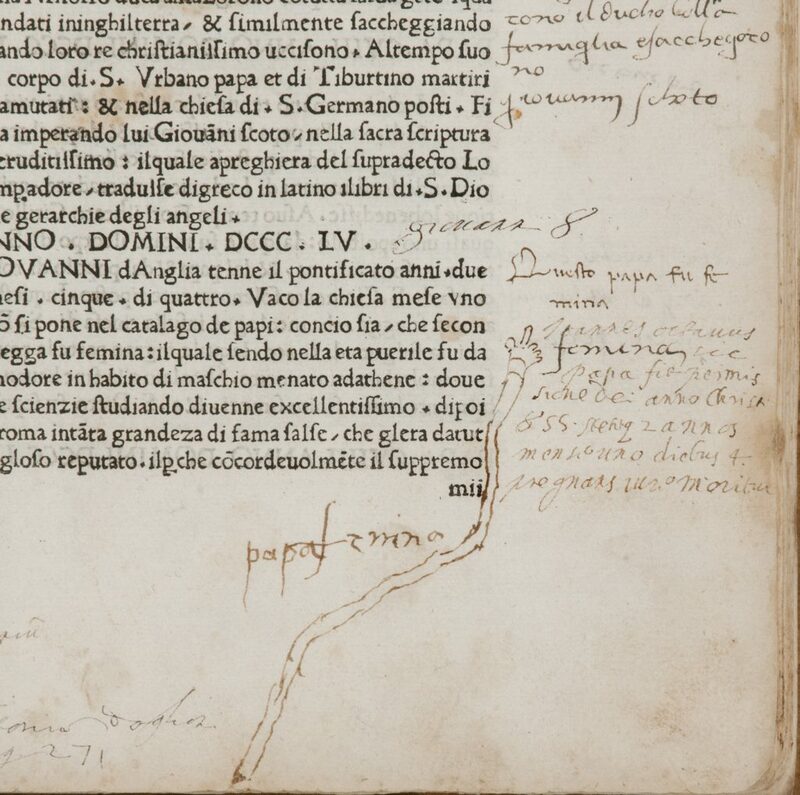 This rubber-armed manicule in a 1478 work on the lives of the popes and Roman emperors looks like it could belong to Mister Fantastic. Pamphlets, posters, performance and exhibit programs, and other ephemeral materials produced in small quantities that are of transitory interest and therefore difficult for libraries to collect and catalog.